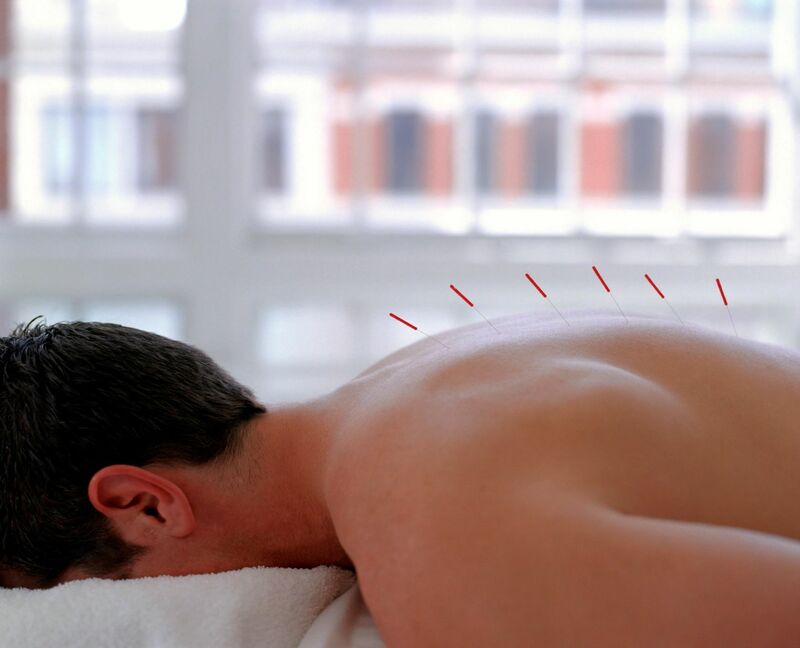 Acupuncture is the insertion of very fine sterile needles into specific points to regulate the function of all systems of the body - Cardio-Vascular, Endocrine, Digestive, Respiratory etc. Usually known as a treatment for pain, Acupuncture is growing rapidly across the country as a popular and successful treatment for a very wide spectrum of conditions. Functional MRI research has been able to "map" its relationship with centers in the brain. In addition bio-chemical research has been able to identify its ability to reduce inflammation, release endorphins, stimulate blood flow, promote digestion, relax the sympathetic nervous system, and offset the effects of stress. It is a cost effective medicine with few to no side effects. Chinese Herbal Medicine is a very sophisticated system, utilizing hundreds of individual herbal ingredients, as well as long standing , time tested formulas for everything from Insomnia to Autoimmune conditions. 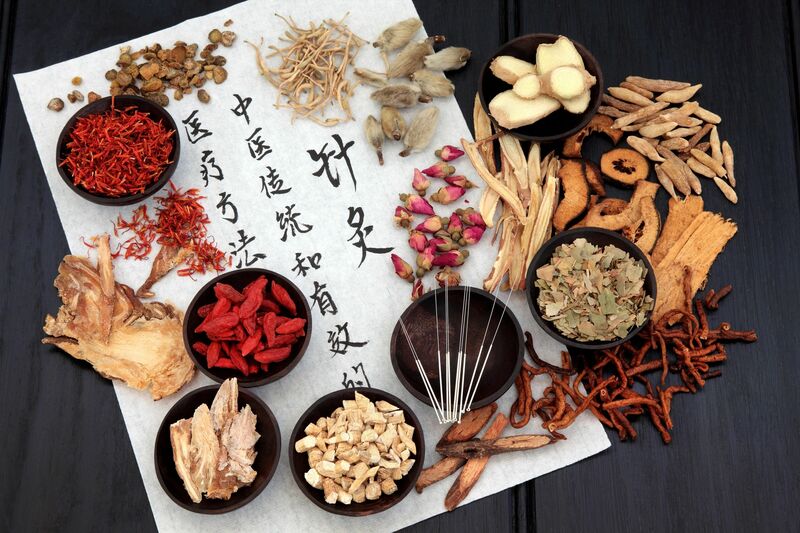 The Chinese system of Herbal Medicine always combines ingredients into "Formulas" to maximize the therapeutic goal, while including ingredients known to offset and reduce any potential side effects of the main ingredients. There are numerous "Classic" formulas that have stood the test of time, continue to perform consistently, and are the subject of modern research. There are several research studies currently underway that are showing the mechanisms for their results. Hospital based Integrative medicine centers are pursuing research into numerous formulas, from Addiction to Oncology. 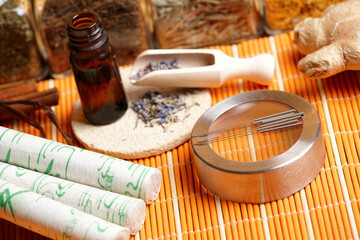 Moxibustion is the burning of a specific herb over Acupuncture points. Its main use is for pain, injury or inflammation, but can also be used to add warmth and blood circulation to an area. Cupping, Gua Sha and Tui Na are forms of hands on, Physical medicine that are used to increase blood flow, promote healing, decrease inflammation, and reduce pain. Cupping is the application of sucking cups to specific areas, and is usually used for pain conditions, but also can be highly effective in opening up respiratory airways to reduce and remove obstructions to breathing. It is used in Asthma, Bronchitis, and COPD. Gua Sha is a massage technique sometimes called scraping that provides immediate and significant pain relief. It is used for localized, fixed pain, and it significantly promotes blood flow and reduction of inflammation. Tui Na refers to the various massage techniques of Oriental Medicine. It has numerous techniques and is successfully used for everything from Arthritis to Constipation. For some, it is practiced as a specialty in its own right. New at East2West is our Pain Management Clinic fast alleviation of your pain using the Siyuan Balance Method enabling self-healing through targeted acupuncture points distant from the areas of pain and discomfort. This intuitive yet highly specific practice treats the injury while leaving the area of concern needle free. 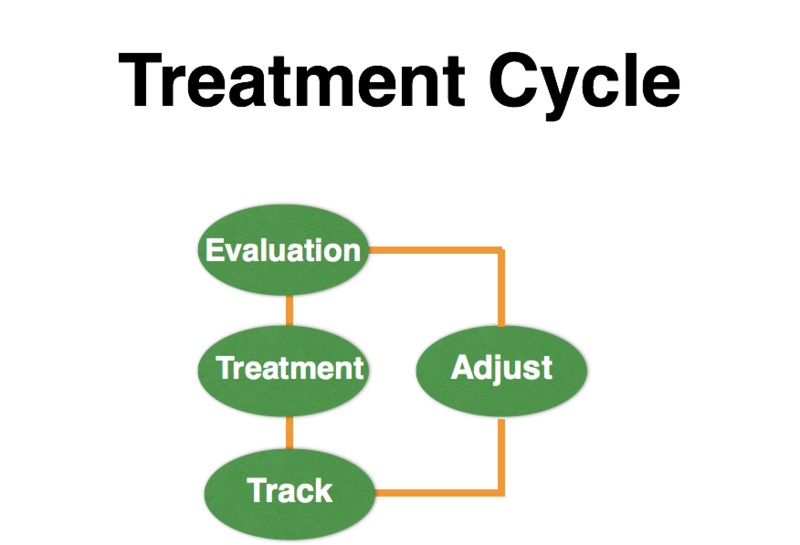 A course of treatment consists of 10 to 15 sessions (Normally 10) . We recommend that our patients have the first 6 sessions twice a week and the remaining sessions once per week in order to get the best results. This means a full course of treatment depending on the condition will take 7 to 8 weeks. Following the initial course of treatment, bi-weekly or monthly maintenance sessions could be required to keep the body healthy, this however does depend on the condition and can only be defined during the initial examination and diagnosis at the first treatment. Chronic conditions need more time and a long term plan. In many cases taking herbal medicine at the same time as having acupuncture can support the treatment and help the process along, talk to your acupuncturist about this and other possible treatments from Chinese Medicine that may help you improve your health or assist in your pain management. 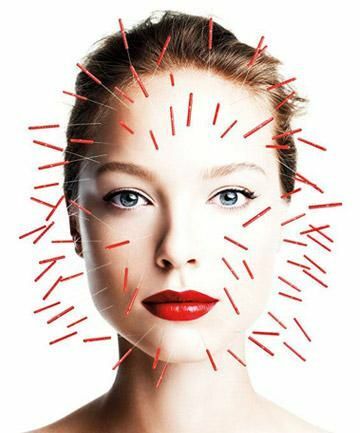 Cosmetic acupuncture is also known as acupuncture facial rejuvenation, and sometimes called an acupuncture facelift. It’s the use of traditional acupuncture to slow the signs of aging in your face, tune up your skin, and to bring back that youthful glow to your cheeks. Cosmetic acupuncture is a great choice for aging baby boomers who want to give their skin a little boost, but don’t want to inject Botox, fillers, or go the surgical route. It also works well for younger women (and men) who want their skin to look its best. For more information contact us or call us at 651-343-0262. To make an appointment call the same number or click on the appointment button to make the appointment in our online scheduling portal.